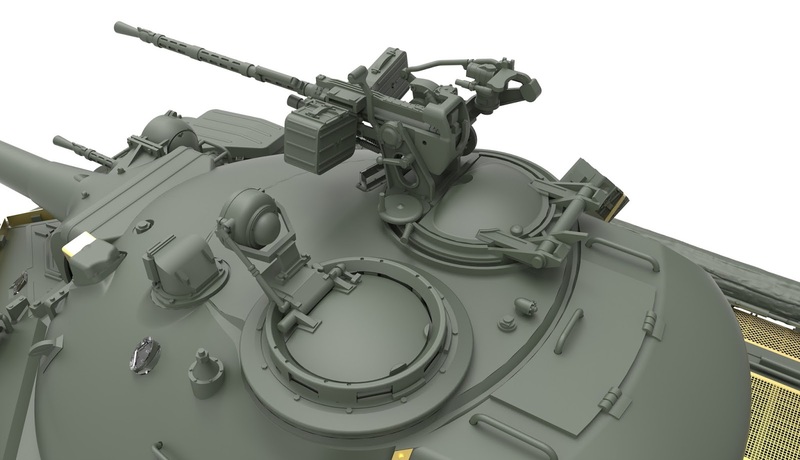 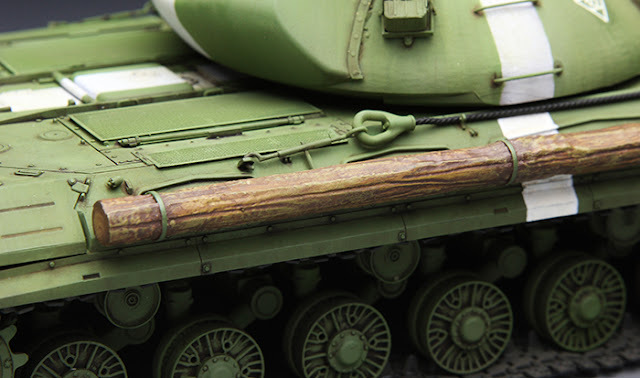 MENG's new T-10 in 35th scale..
During the WWII, Soviet JS/JS-2 (Joseph Stalin) heavy tanks were the nightmare of German army. 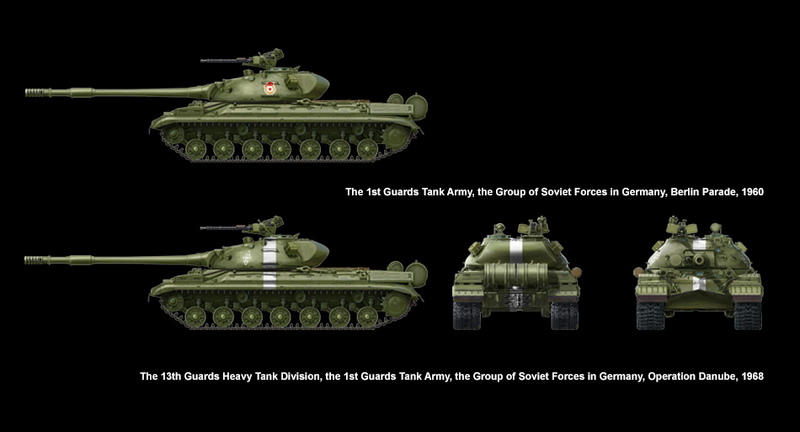 After the war, the Soviet Union still insisted that heavy tanks were most important in wars, and equipped its troops with JS-3 and JS-4 tanks. 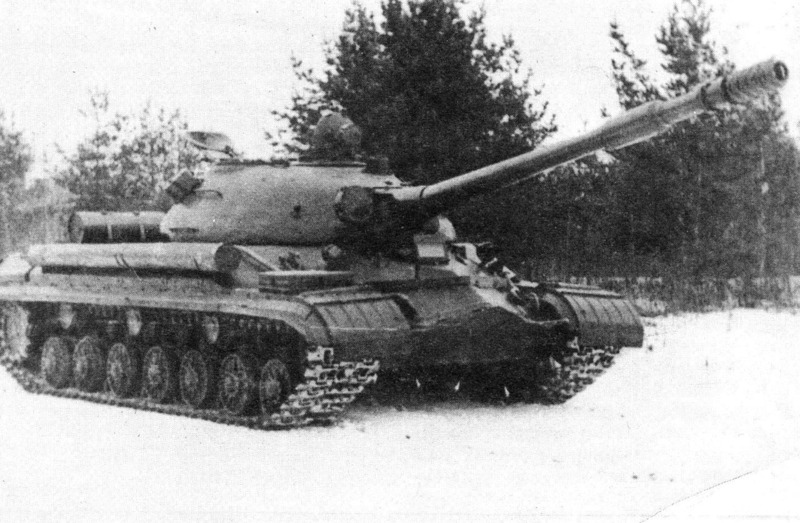 In 1948, the Object 730 started. The tank once was named JS-8, JS-9 and JS-10. 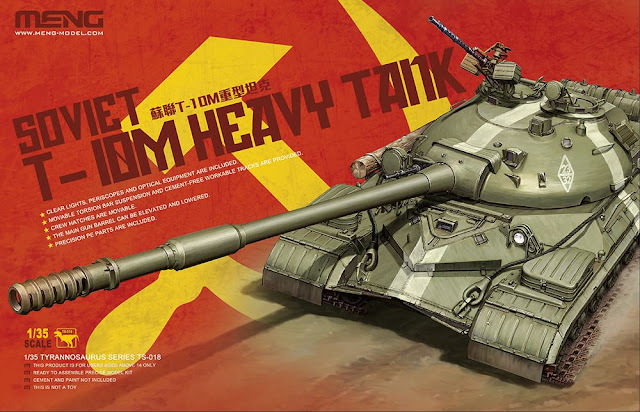 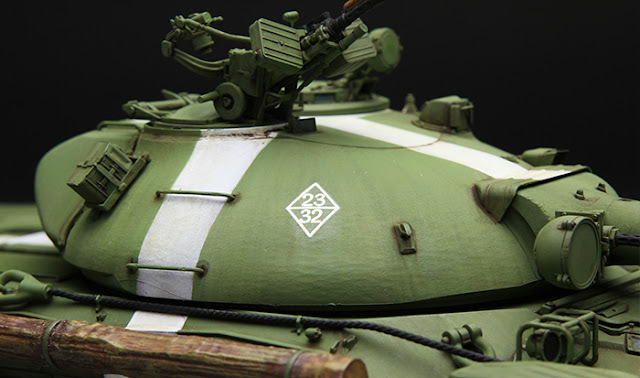 In the late 1950s, the Soviet Union implemented the policy of de-Stalinization and the name of the Object 730, as the last version of Joseph Stalin heavy tank series, had to be renamed T-10. 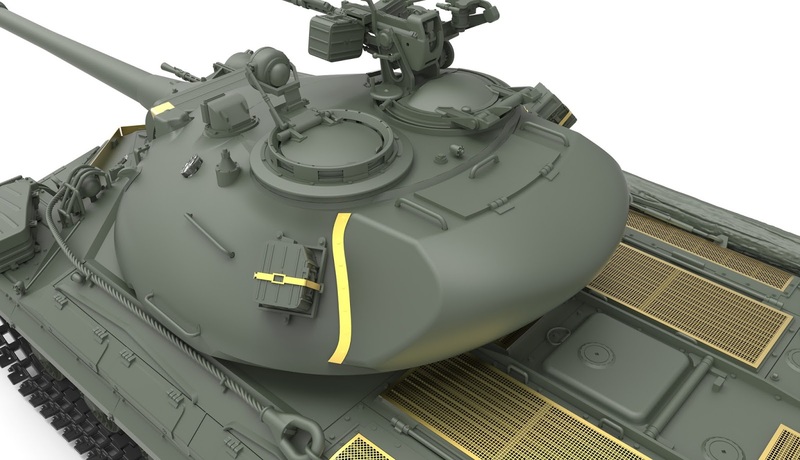 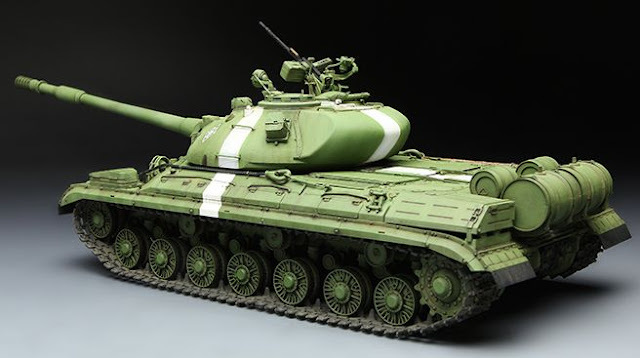 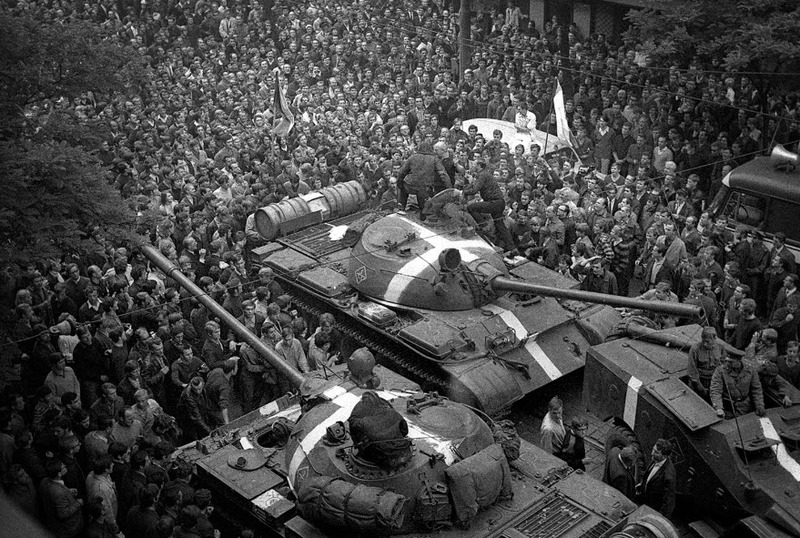 Between 1953 and 1965, about 1500 T-10 tanks were produced by the Soviet Union. 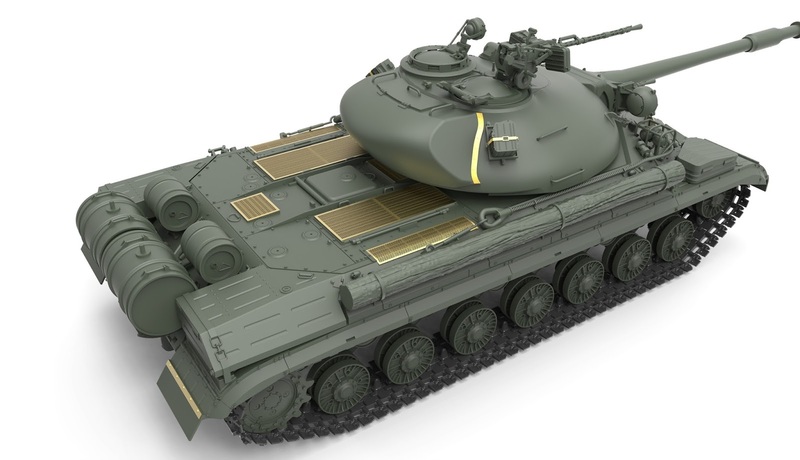 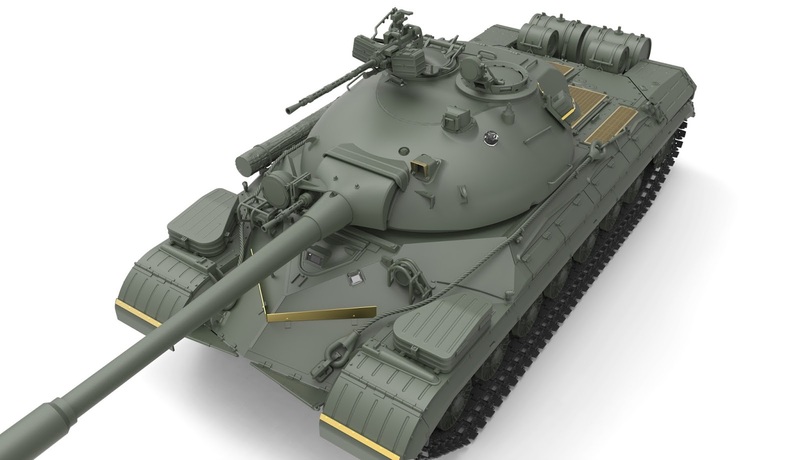 The last version of T-10 tank and also the version with most modifications - T-10M, started its service in 1957. T-10M had a crew of 4. 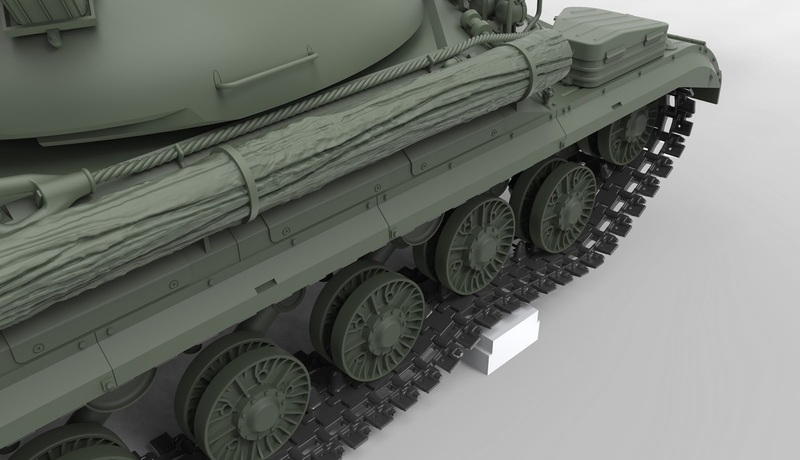 Its combat weight was 51t. 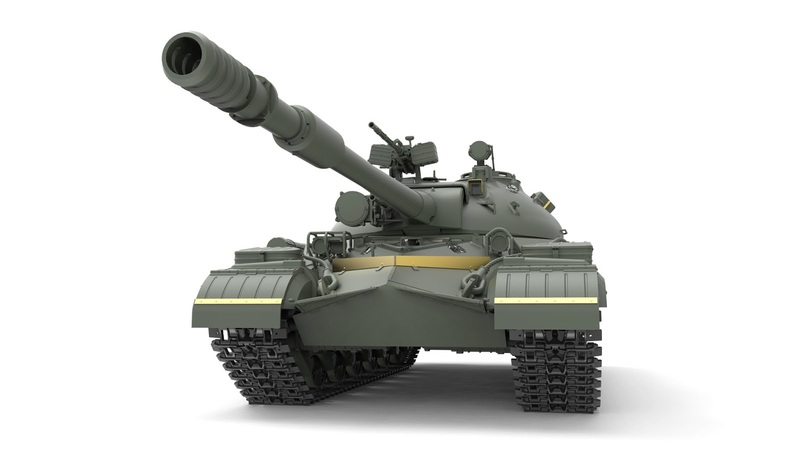 It was powered by a 750hp V-12-6 supercharged diesel engine. 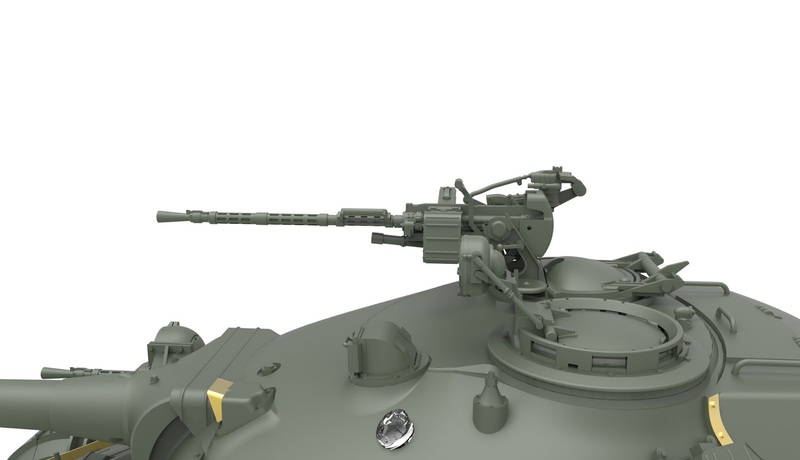 It was fitted with a 122mm M-62-T2 (2A17) rifled gun; its secondary weapon was a 14.5mm KPVT coaxial machine gun and an anti-aircraft machine gun. 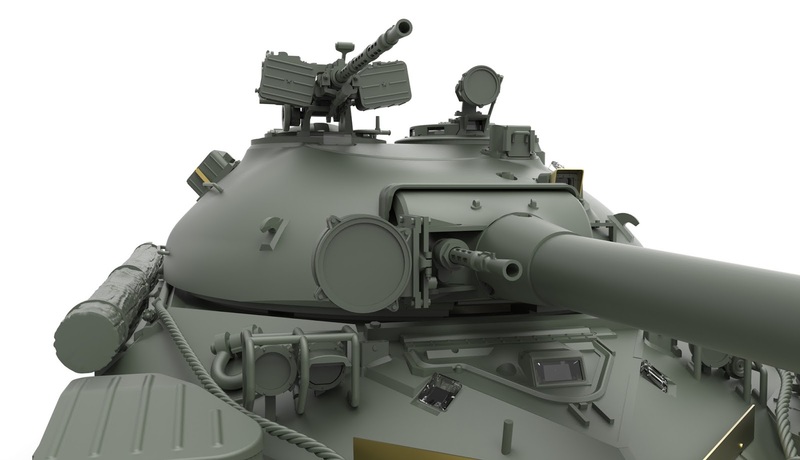 The loader and commander were supplied with infrared night vision equipment. The tank was equipped with an NBC protection system. 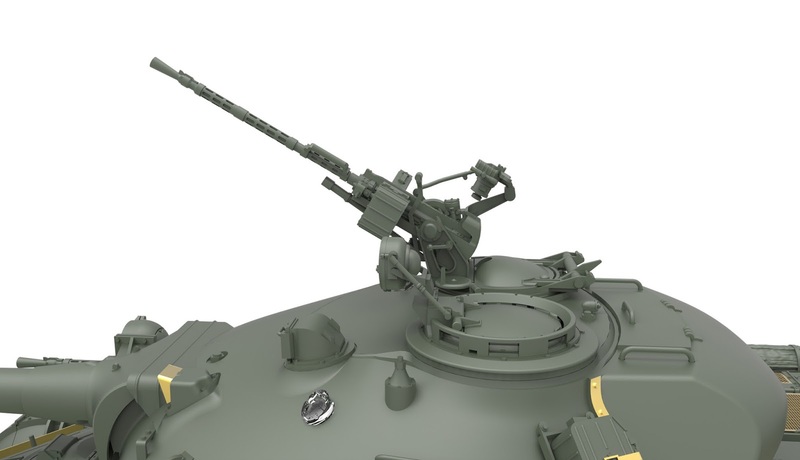 The KPVT Machine Gun can be built in either horizontal or elevated position. The Infrared searchlight can be built open or closed. 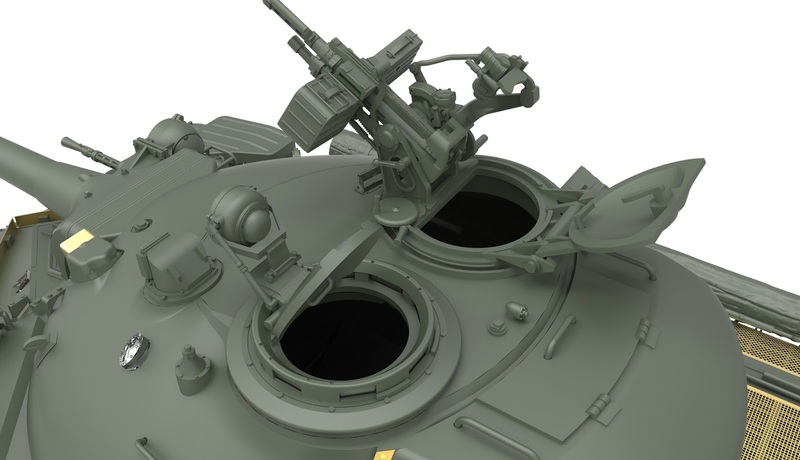 Commander’s and loader’s hatches are movable. 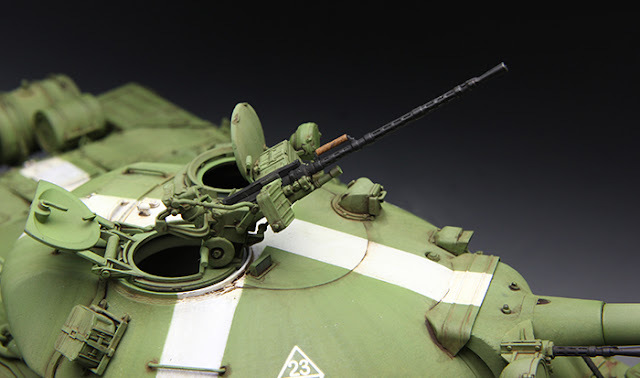 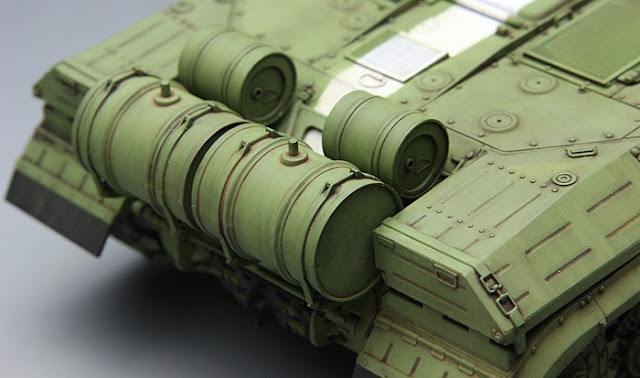 Storage boxes or a roll of canvas can be installed at the back of turret. 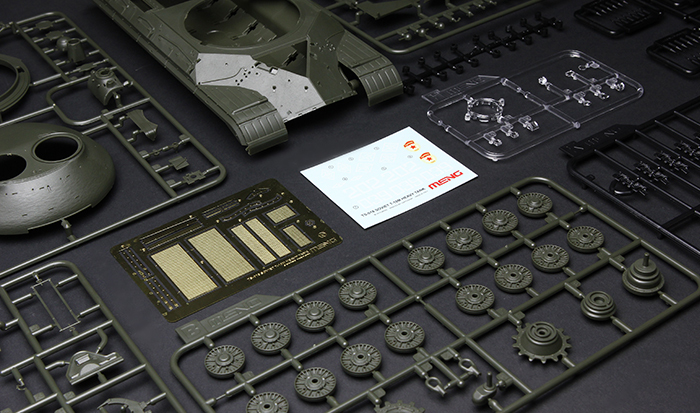 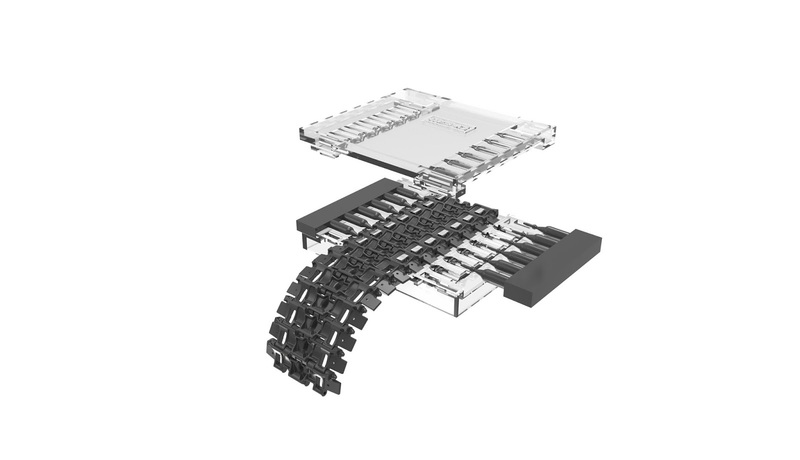 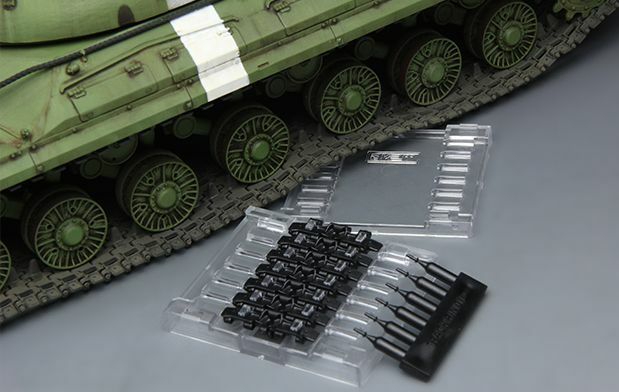 Cement-free workable double-pin tracks are easy to assemble with the jig included in the kit; movable suspension is provided. 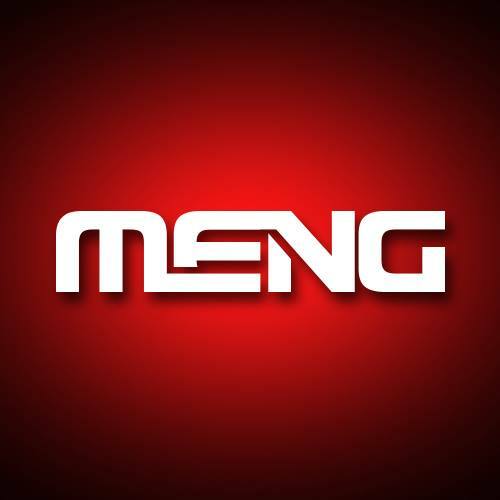 This tank will be available soon through MENG’s Distributors Worldwide.